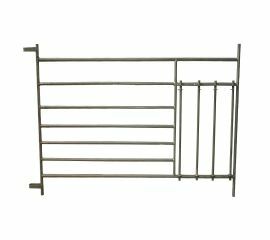 Part of our sheep handling range, our sheep hurdles are all made from durable galvanised steel; ideal for easy and effective sheep penning. Sheep hurdles are specifically designed for fencing and penning sheep and lambs, but can also be used for other livestock. Sheep hurdle systems allow you to create your own fencing system, with a range of hurdles and gates. Our sheep hurdle gates come in a range of opening and closing styles to fit fencing and sheep races. 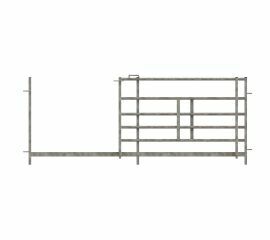 Stock includes sheeted gates, guillotine drop gates, swing and slide forcing systems and drafting stop gates. 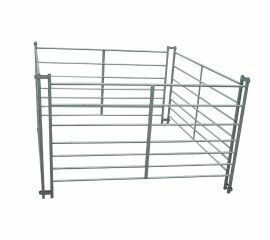 We also have various fencing and gates specifically designed for lambs, including lamb hurdles. Shop below for all your sheep hurdling needs or, if you have any queries, get in touch with the McVeigh Parker team.